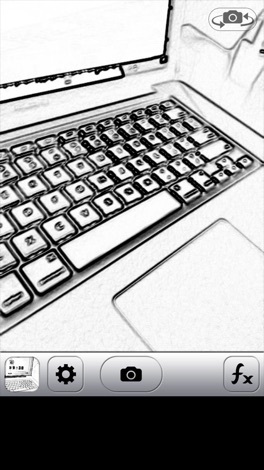 » CamWow - Camera booth effects! Published: 2013-02-14, by Manu Galvez. Every second thousands of pics are uploaded to the Internet. Within all that mess only a few point out of creativity and originality. Camera apps like CamWow provide lots of filters to help you enhance your pics and make them highlight. As a camera replacement, it launches the camera when tapping on it. Actually, CamWow's interface looks like the stock camera app with a minimal bottom bar from where you can preview the last picture taken and access the gallery, take a picture, select a filter, switch between front/back camera and set up preferences. 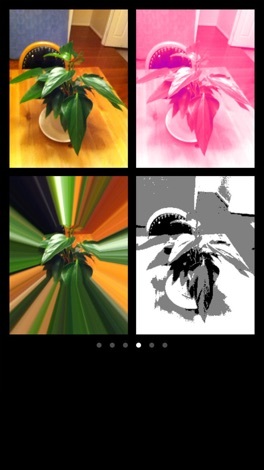 CamWow is focused on simplicity and ease-of-use and its plus point lies on its original effects. From the FX button you can preview the effects just by pointing your camera and select the one you like more. Effects are displayed on 4-effects grid that can be swiped to see the next pack, in real-time, applied directly to your camera. There are up to 28 different effects including: X-Ray, Sketch, Bulge, Stretch, Thermal, Night vision, Pixellation and many more. 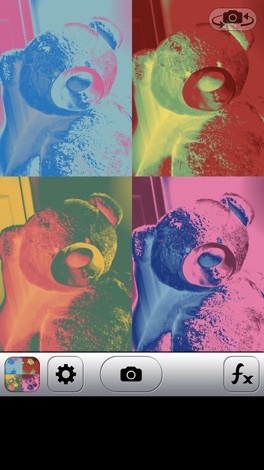 If you want even more, you can go and get CamWow Retro, also available in the appstore for free. Just two catches: simplicity is great but I'm missing some edition tools like crop, brightness and contrast adjustment, etc. Likewise, every effect applied with CamWow leaves a watermark. If you want to remove them you have to pay $1.99. I would personally prefer a more freemium-like system: no watermarks even in the free version and more effects/filters in a paid version. However, that's just my opinion. The app is highly recommended. 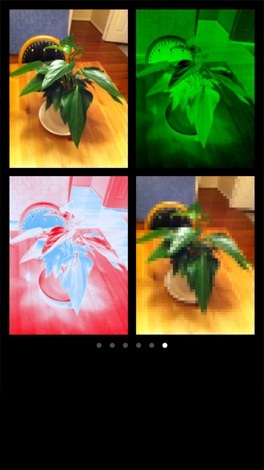 Distort, fatten, pinch, and stylize your camera with real-time filters just like Photo Booth! "Me and my kids use it all the time!" "I luv it! And it's free!" 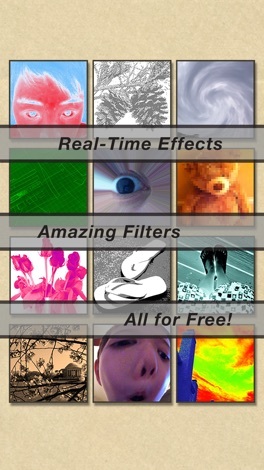 "This is the best app I downloaded"
• Real-time effects applied directly to your camera! • Perfectly tuned filters for effortless fun! • #4 Top Free App in the United States App Store! • Top 100 Overall App in 46 countries! Including United Kingdom, Israel, Australia, Canada, and Saudi Arabia! • Top 100 Entertainment App in 87 countries! Including: United States, United Kingdom, Australia, Canada, Saudi Arabia, Costa Rica, Kuwait, Sweden, Taiwan, Israel, and Thailand! Remember to follow us on twitter or Facebook for updates and new apps from Jolly Dream Studios! Download CamWow - Camera booth effects!